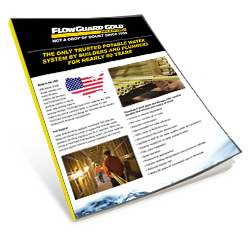 FlowGuard Gold® Fact Sheet | Lubrizol Advanced Materials, Inc.
With billions of feet of pipe installed over 60 years, builders and plumbers trust FlowGuard Gold plumbing systems to deliver clean, safe drinking water to American families. FlowGuard Gold CPVC materials are 100% made in the USA at Lubrizol’s facility in Louisville, KY, and FlowGuard Gold pipes and fittings are manufactured by industry leading North American manufacturers. Download this FREE fact sheet today.